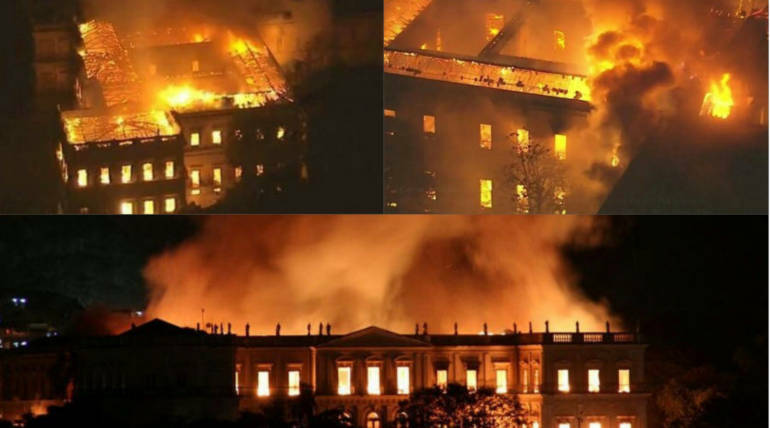 Ablaze broke at the national museum of Brazil in the Rio de Janeiro on the Sunday evening which destroyed the building and the properties completely over night. 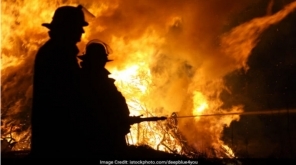 The museum is said to be 200 years old and the properties in the museum were said to be priceless that turned into ashes after a sudden fire broke out in the museum. No injuries or human casualties were reported in the fire. While the reason for the fire is still unclear, people in social media claim it as a result of poor maintenance by the government of Brazil. The museum reportedly consists of 20 million items that are archaeological properties of the nation to protect the history of the nation for future reference and considered as one of the nation�s pride too. 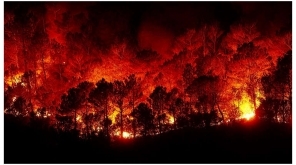 The fire is said to have broken out during the time around 7 pm on Sunday, after the visitors of the museum left by 5 pm closing time. Some of the materials in Museum were saved with the help of workers while it doesn�t come close to the number of historical properties destroyed by the fire. The museum was craving basic maintenance for years, but the government neglected it as it does with education, art and science in general.